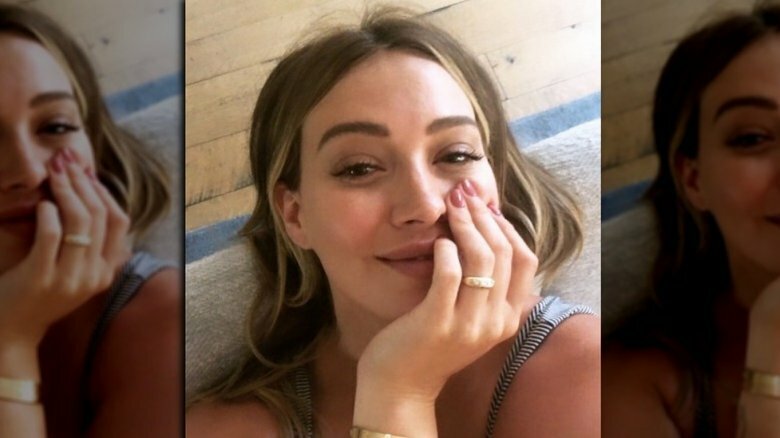 Congratulations may be in order for actress-singer Hilary Duff and her boyfriend, Matthew Koma. On Wednesday, Sept. 12, 2018, the Younger star sparked engagement rumors with an Instagram post featuring a gorgeous diamond ring on her left hand. "This vintagey looking sparkly number from @foxandbond has me smiling today," Duff, who's currently pregnant with baby no. 2, wrote, captioning a snapshot of herself showing off her latest accessory. According to E! News, this 14-karat gold ring is listed in the engagement ring section of Fox & Bond Jewelry's website. Duff's fans and peers alike soon flooded the post's comments section to speculate over the "Come Clean" singer's current relationship status. Even older sister Haylie Duff, 33, chimed in with, "Ummm I thought this was something else." At the time of this writing, neither Duff nor her reps have confirmed her rumored engagement. As Nicki Swift previously reported, Duff, 30, first announced that she and Koma, 31, were expecting their first child together, a baby girl, in early June 2018. "Guess what guys! @matthewkoma and I made a little princess of our own and we couldn't be more excited!!!!!!" Duff wrote on Instagram at the time, alongside a sweet photo of the two lovebirds together. For his part, the dad-to-be posted the same pic, writing, "We made a baby girl! 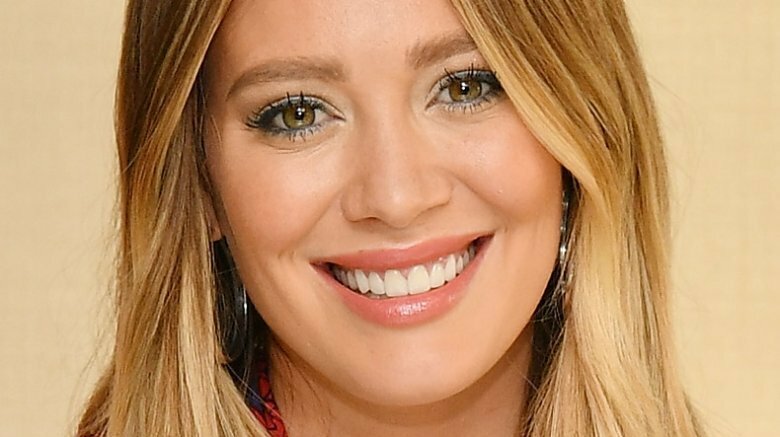 She will be as beautiful and sweet as her mother… @hilaryduff another incredible chapter begins." The Disney Channel alum already shares 6-year-old son Luca with ex-husband Mike Comrie. The former couple called it quits in 2014 after four years of marriage, before finalizing their divorce in February 2016. Duff and Koma aren't the only celeb pairing to make headlines with a rumored engagement in recent months. In late July 2018, multiple media outlets speculated that Jane the Virgin star Gina Rodriguez's longtime boyfriend, actor-model Joe LoCicero, had popped the question while the two vacationed in Mexico. She later confirmed the happy news in August. Meanwhile, Ariana Grande and comedian Pete Davidson have been dominating headlines all summer long following their quick engagement in June.